The Indian rice industry plays a vital role in the economic growth, employment rates and foreign exchange earnings. It is a huge agricultural sector, which makes lot of money. All thanks to the preferential soil, climatic conditions and growing technology. India is the largest producer and exporter of Rice, all over the world. It supplies almost 20 per cent of the total rice exports. The country did suffer from financial stress due to weak international demand and excess of paddy supply but it is been expected that it would rebound in 2018-19. Presently the highest rice producing states in India are Punjab, Andhra Pradesh, Uttar Pradesh, West Bengal, Tamil nadu, Bihar, Chhattisgarh and Orissa. This state’s together hold almost 72 per cent of the total area of rice production and contributes almost 75 per cent of the total rice in the country. As per statistics, West Bengal is been considered as the largest producer of rice in the country. The region has nearly half of its arable land under rice cultivation, which comes to about 5 million hectares of rice growing area. In the financial year of 2016, the same state produced over 14.8 million tonnes of rice, thus remaining as the highest rice- producing state in the country. The rice industry in India is been expected to continue producing at world- leading rates. As per a statistics of Government of India, the total production of Indian rice decreased by 1.1 million or 1.09 per cent in the year 2014-15. The Indian government has set a production target of 285.2 million tonnes of food grains in the year 2018-19. India had harvested a record of almost 248.8 million tonnes of food grains in the year 2017-18. For the year 2018-19, the agro- industry has fixed Rice production target of 113 million tonnes, which was 112.9 million tonnes last year. India is a major rice producer, exporter, and consumer and it continues to be the world’s largest rice exporter for the 4th consecutive year. Rice is the most vital agricultural crop in India. It contributes more than 40 % of the country’s total food grain production. The country has high -quality paddy, high -yield, low production costs and is been known to efficiently execute its contracted businesses from that of the ports of East coast and West coast of India. 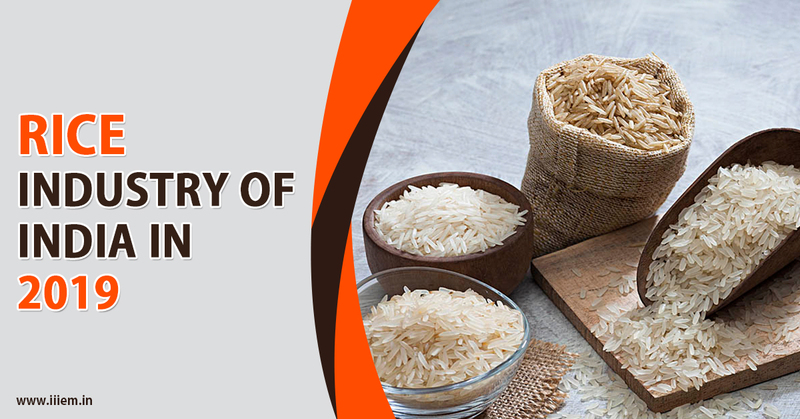 In the last one decade, the rice industry in India has seen a major transformation, due to the growth of branded businesses in that of the domestic market and a strong impetus to export. The prominence of this industry has attracted a significant number of traders and buyers from all over the world. In the near future, the demand for export of rice is been expected to improve further, with China and Iran increasing their imports of Indian rice. Along with that, the steady domestic demand growth would add to the overall improvement for the industry.